Book more than one appointment at a time with the same staff member. 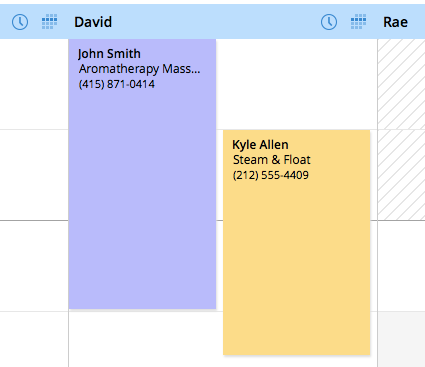 You have the option to add double or overlapping appointments to your Calendar at any given time, using our Double Appointments feature. Once this feature is turned on, scheduling a second appointment at a time that overlaps an existing appointment is easy. First, click any open time slot close to the existing appointment. Select a service as usual, then use the time drop-down menu to select the time at which the customer wants to schedule. You should see the time available, even if an existing appointment already covers it. 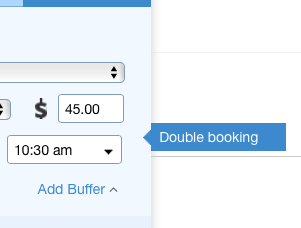 Once you select the time, a "Double booking" flag will will alert you that you're choosing to book a time when you already have an appointment (just in case in you didn't mean to). Continue the booking process by filling in your customer’s details and saving your new appointment. The two appointments should show up beside each other in the same column, as in the example below and the one at the top of the page (for appointments where the start time are staggered). 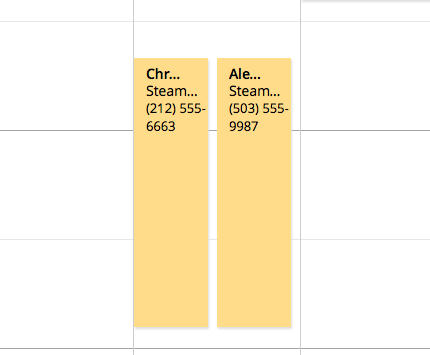 Double Appointments can only be made Offline, by you, directly in your Calendar. So you never have to worry about a client double booking you at a time where you don't want a second appointment.